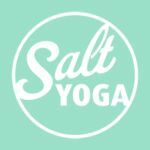 A good blend of restorative and empowering postures, expect plenty of flowing breath and pelvic floor work, visualisation, meditation and releasing to open up. The intention for this class is to aid you to be in the best possible shape for birth and beyond both physically and emotionally. Please note: this class is generally booked out so please reserve your spot if you're planning to come and make sure you cancel if you can no longer make it so someone else can attend. Thanks!